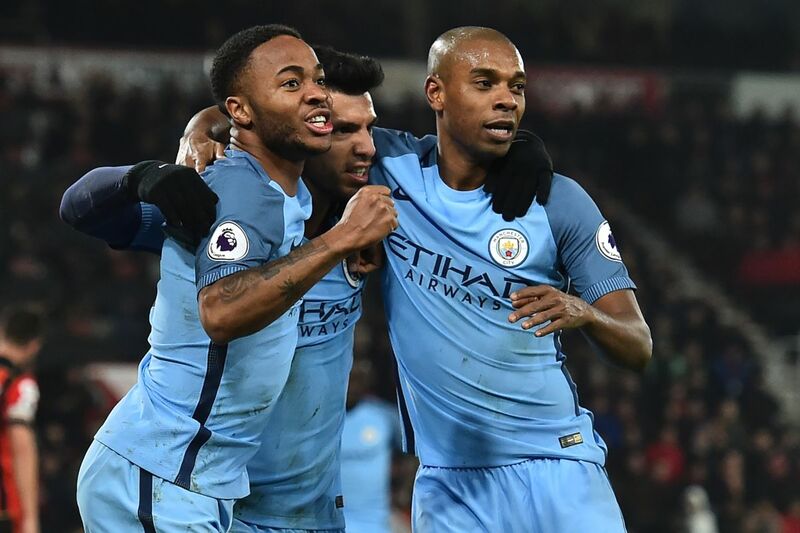 In what could have been a tricky test for Manchester City, Pep Guardiola’s men came through tonight’s tie at the Vitality Stadium unscathed and with all three points. How nice is it to have a goalkeeper that can make saves? You take some things for granted in life, and this season, we’ve realised that saves are one of them. Willy was superb this evening, making a crucial tackle in the first half to stop Jordon Ibe giving the hosts the lead, before denying Harry Arter in the second-half. His distribution was also very good. Claudio Bravo is going to have a tough time reclaiming his place if Caballero keeps this up. Fairly solid performance from Bacary. Wasn’t majorly troubled defensively, and dealt with whatever was asked of him. He did look slightly awkward in possession, however. Another good performance from Stones, who seems to have improved massively since December’s mauling at Leicester. His decision-making has gotten a lot better, and it showed tonight. May have gotten away with one when Bournemouth’s equaliser was ruled out, but no harm done. The Serbian, much like his centre-back partner, has been very good in recent weeks. Kolarov made a number of crucial interceptions throughout the game, and did well going forward when he moved into full-back during the second-half. Pep said at the start of the season that Fernandinho could play in any position. Right-back last week, left-back tonight – it looks like Pep may be trying to prove his point! He looked uncomfortable for the most part against Swansea, but was excellent tonight on the left-flank. Apart from a few stray passes, the Brazilian looked assured in possession and did more than what was required of him defensively. Not a vintage performance from the big man tonight, seeming slightly off the pace from the start. Yaya was booked for a foul just ten minutes into the game, and played his way into trouble a couple of times in the first-half. Like Yaya, Kevin wasn’t quite at his best tonight, but it wasn’t for the want of trying. He tracked back well, doing his part defensively, but it just didn’t seem to click for the Belgian in the final third. Unlucky not to get an assist after Sané fired wide late on. Magnificent. Utterly magnificent. Silva’s first-half performance was as good as any we have seen in the Premier League this season. He looked on another level. Every touch was perfect, every pass was executed superbly. After a few dodgy performances towards the end of 2016, it’s fair to say that the Spaniard is back to his best. Sterling has a right to feel hard done by tonight, as he would have surely been awarded ‘Man of the Match’ had David Silva not produced a masterclass. Raheem looked like the player we saw at the start of Guardiola’s reign – direct, electrifying and threatening. He took his goal well after good work from Leroy Sané, and sealed the win by putting the ball on a plate for Sergio Aguero to tap home. He’ll be annoyed that he hasn’t gotten his name on the scoresheet tonight, but Sané produced yet another good performance on his fifth consecutive start for the Blues. It was his cross which led to City’s opener, and he was a constant thorn in Bournemouth’s side all evening. The German winger had a couple of good chances late on, and came very close to making it three when his shot cannoned off the cross-bar. Looked bright at the start, but was unfortunately injured early on. Hopefully it isn’t a serious injury. Called upon earlier than he would have expected, Kun looked like a man with a point to prove when he replaced Gabriel Jesus. Unfortunately, it just wasn’t happening for him in the first-half, and nothing was sticking to the Argentine striker. But Sergio kept trying, and played a part in the second goal, which he was hoping to claim, but appears to have been deemed a Tyrone Mings own goal. Depending on the severity of Gabriel Jesus’ injury, Aguero may be given a chance to salvage his City career. Let’s hope he takes it. Otamendi was brought on to replace Yaya Touré, but the Argentine centre-half slotted into his regular role at the back. He didn’t really have that much to do, but did well when called upon. No time to mark, but nice to know he’s still alive.